Have a few questions? Below are a selection of the most common questions we receive… with our answers next to them. If you still need answers that we haven’t addressed don’t hesitate to send us an email through our contact page (or give us a call). Q:Do you list my house on the MLS or buying it? A: Good question. We’re not real estate agents, and we do not list homes. We buy houses Washington, DC that fit our buying criteria. We then repair the house and resell it to another home owner or keep it as a rental ourselves. A: We purchase homes below market value so we can resell it at a profit to another home owner. 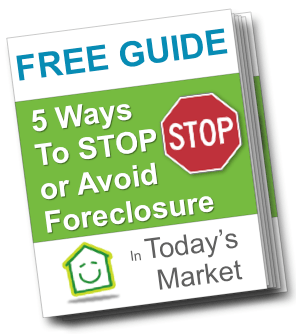 However, if you’re in foreclosure you probably do not have equity… so we often negotiate with the lender for a discount on the property. In the end, we have to buy the property at a discount so we can make a profit when we resell it. The benefit we offer is a quick, no hassles, cash offer..a quickly close on the date of your choice, flexibility on terms of the sale, and we will buy your house in any “as-is” condition (meaning you don’t have to make any repairs). If thats what you’re looking for and you see the value in getting your house sold fast… lets talk and see if we can arrive at a win-win price. A: Good question and we’re an open book… so I’m glad you asked. Our process is rather easy. We look at the location, what repairs are needed, condition, and values of similar homes sold in your neighborhood. As your aware, house prices have taken a big hit in the last 5 years and most areas around Washington, DC still haven’t seen prices come back up. So, we take all these factors into consideration… and arrive with a fair price that works for us and works for you too. A: There are NO fees or commissions when you sell us your house. We will make you an offer, and if you accept… we will buy your house (and most of the time we will pay for the closing costs too!). No stress. No fees. We earn our money after we repair the home (if any) so it is like new… market the house, and hopefully sell it for a profit (we’re taking all of the risk here on whether we can sell it for a profit or not, once we buy your home… the responsibility is ours and you go on your way without the problems, the stress of the property and it’s payments… and most of the time with cash in your hand). A: Real estate agents list properties and hoping someone will purchase them. The average time to sell a property in the Washington DC area right now is 6-12 months. When you work with a real estate agent you will pay a commission as a % of the sales price. Most of the time it is 3-6% of the sales price (so if it’s a $100,000 house, you’ll pay between $3,000 – $6,000 in commissions to an agent). Agents are a great options for those who can wait 6-12 months in many cases to sell and who can afford to pay a large commission on the sale. Our company actually has the funds to buy your house. We don’t list houses. Since we’re actually the one buying the house from you, and we pay with all cash… we can make a decision to buy your house within a couple days (sometimes the same day). Again, we make our living by taking the risk to buy the house with our own cash, repair the house, and market it ourselves to find a buyer (which is the hard part in this market). A: No obligation at all. After you provide us information about your home, we’ll take a look at the information, set up an appointment with you to find out a bit more, and make you a fair cash offer that is a win-win solution for both of us. From there, it’s all your decision on whether or not you’d like to sell your house to us… and we won’t hassle you, won’t harass you… it’s 100% your decision and we’ll let you decide what’s best for you.